To all who wonder whether the background of Disney's movie "Coco" is culturally accurate, question no further. "Coco" takes place in Mexico during Día de los Muertos, a widely celebrated holiday in Hispanic culture dedicated to honoring the lives and memories of loved ones who have passed away. IUPUI student Sandy Rivera said the movie is accurate in its representations. Similar to the movie, the Rivera family celebrates the holiday by putting pictures of deceased ancestors on top of an altar, or "ofrenda," with food, gifts and heirlooms surrounding the frames. Rivera, a junior studying elementary education, came to the United States from Matamoros, Mexico, when she was 4 years old. She knows firsthand how difficult it is to hold onto traditions from your heritage when you grow up in a different country, but she and her family make sure to keep their Hispanic culture alive. Each year, they celebrate traditional Mexican holidays such as Día de los Muertos, Las Posadas and Día de la Virgen de Guadalupe. Rivera has always had an active role in the festivities, playing the role of the Virgin Mary in reenactments performed during Las Posadas and Día de la Virgen de Guadalupe. 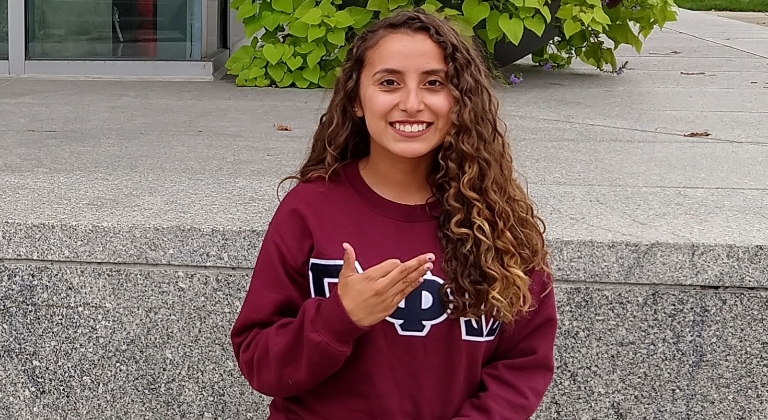 Not only does Rivera celebrate Hispanic heritage with her family at home; she also honors the culture with her IUPUI family, including her Gamma Phi Omega sorority sisters. Promoting cultural awareness for all cultures throughout all communities is something near and dear to Rivera's heart, and it is one of the most important missions of the sorority's Xi chapter at IUPUI. This month, Gamma Phi Omega will host an event called "Aguas, Frescas y Lotería," when the sorority will play the Mexican game Lotería, which is similar to bingo; have Hispanic-inspired refreshments; and celebrate Hispanic culture with anyone who attends. Rivera, who is the cultural awareness chair for her chapter, said she and her sorority sisters are currently planning even more events to further the celebration of the Hispanic community. The sorority also gets involved with the Latino Student Association throughout the year as it hosts events such as the Latino Mixer at the end of August. Similarly to Rivera, Gamma Phi Omega's vice president, Ariel Khalil, whose family is from Nicaragua, said the sorority has helped her feel more connected with her heritage. "Ever since I joined the sorority, I have learned to love and embrace my culture more," Khalil said. "I feel more proud of where my family came from now." Khalil participates in Hispanic culture by celebrating Día de los Reyes with her family, when the family comes together to enjoy a delicious bread with a hidden plastic baby inside. Whoever discovers the trinket in their slice of bread is given the task of throwing a family member a special dinner in the months to come. Another tradition the Khalil family participates in is Semana Santa, which is a week dedicated to celebrating Easter. For this, Khalil joins her family in attending church in the morning and having a meal together in the evening. Both Rivera and Khalil stress how important it is to maintain cultural ties to where they come from. "With the current political climate," Rivera said, "being Mexican can still be frowned upon in society. I love being Mexican, and I love my culture. It's important to keep traditions going so that stories and celebrations don't get lost, and so you never forget who you are or where you come from." Khalil agreed by expressing how family-oriented she is and how keeping the traditions of her family going is incredibly important to her. Khalil also agrees with Rivera about enjoying the movie "Coco," and she appreciates what she considers an accurate representation of Hispanic culture. Any misrepresentation is at risk for being offensive to other cultures, not just Hispanic culture, she said. Celebrating traditions and memories of all cultures in their truest forms provides the platform for acceptance of all, no matter the heritage.